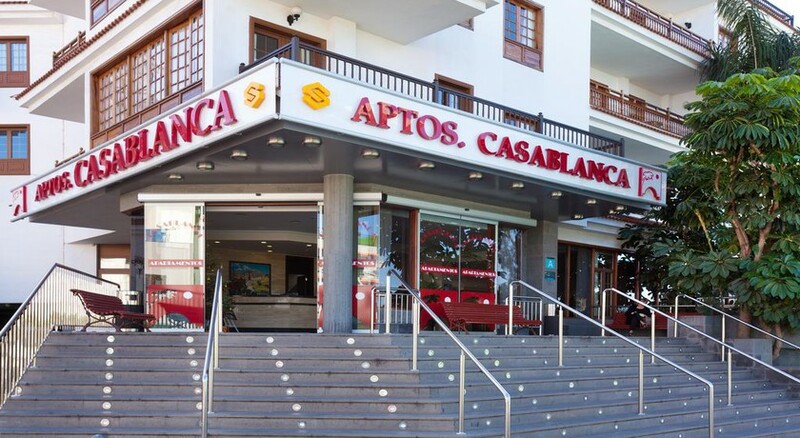 Resting on a fairly steep hill close to the resort center, the Casablanca Hotel is perfectly placed for exploring the local area. You've got two beaches close by, and restaurants and bars practically on your doorstep. For relaxing there's a swimming pool and a pool bar, as well as a spa that offers a variety of massages. All the rooms at Casablanca Hotel are fully equipped with high-speed internet, flat-screen TV, kitchens and separate dining areas. For food and drink, there are plenty of options to choose from that include Bed & Breakfast, room only and self-catering option. As the hotel is nestled in a silent residential area, it will be a good opportunity for you to relax and get away from the day to day stress. Set in a quiet residential area, just a short distance away from the Playa Jardin beach and resort center, it is a perfect place to relax and unwind yourself. It is only 500 metres away from the Botanical Gardens, making it convenient for those who want to see lush green gardens. 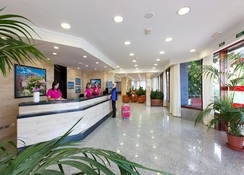 Casablanca Hotel is about 24.9km from Tenerife North Airport and approximately 87.9km from Tenerife South Airport. Rooms at Casablanca Hotel fall in three categories that include Studios, One-Bedroom and Two-Bedrooms. Studio is a right pick if you are looking for massiveness with magnificent views. 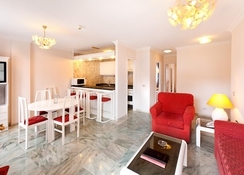 One-Bedroom apartments are bright, white and comfortable with spectacular views suitable for small families. Two-Bedrooms apartments come with two bedrooms with single beds, its living room comprises a sofa bed and you can glare magnificent views from the balcony. All the apartments come with fully equipped kitchen and living room that include refrigerator, coffee maker, squeezer, toaster, microwave, plate and oven, satellite TV with a wide selection of channels, telephone (paid), safe (for a fee), Wi-Fi, full bathroom with hair dryer and dining table. The hotel houses a cosy bar-cafeteria, where you can enjoy continental breakfast, hot and cold snacks and refreshing drinks. If you want to explore more then, you can head to other restaurants and bars for lunch and dinner some of them include Restaurante el Camino, Plan B British Food Pub and Vinoteca Con Pasion. Or make yourself comfortable by leveraging the In-room food service provided by the hotel. There are ample sports and leisure facilities in and around the hotel to keep you engaged from sunrise to sunset. 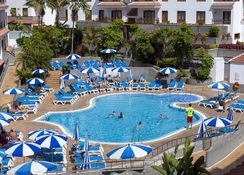 Casablanca Hotel houses an outdoor swimming pool, which is heated in winter and it also comprises a children’s area and a terrace with sun beds. Those who want to maintain their fitness level can take advantage of the fully-fledged gym that facilitates aerobics, weight machines, sauna, spinning and fitness machines. when it comes to entertainment the hotel does not lag behind with live entertainment shows and children’s programme during summer season. Lovely clean hotel throughout from our huge room to outside by the pool and grounds. Majority of staff were excellent! I wouldn’t recommend the food at all. The location was perfect.